My sweet, miniature man can not make up his mind. One day he loves Skylanders, then it’s Minecraft, then Star Wars, and I just can’t justify paying to redecorate his room over and over again if it is only going to last a month. 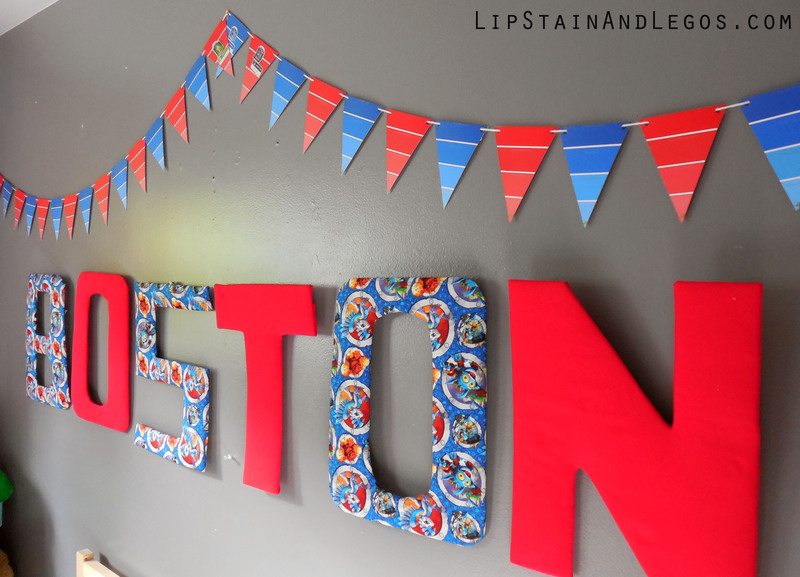 I’ll be sharing how we made the oversize letters a bit later using fabric and boxes. Making the garland was incredibly easy and only took about 20 minutes. 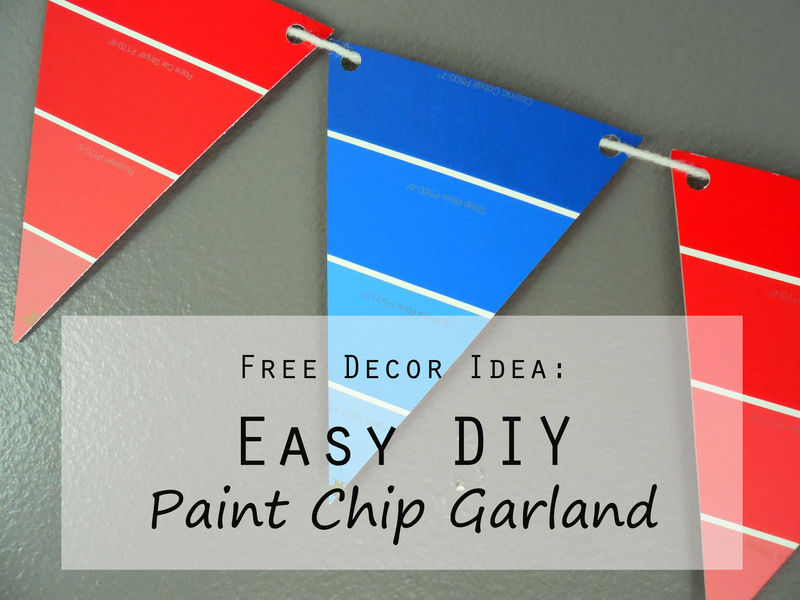 We love how they are made from paint chips that you get for free from the hardware store! I also really love the ombre look and the personality it gives his room. We chose to use Behr paint chips because of their large size and the logo in the bottom center of the chip. It allowed us to cut and assemble the garland without any rulers or measuring. Gently begin to fold the paint chip in half just enough to find the middle. Using the paper trimmer, line up your chip with the upper corner. It doesn’t have to be exact since the trimmer will guarantee a straight line. String yarn through. The yarn has just enough texture so the chips won’t crash into each other and is easy for little hands to help. I hope you liked this little tutorial. 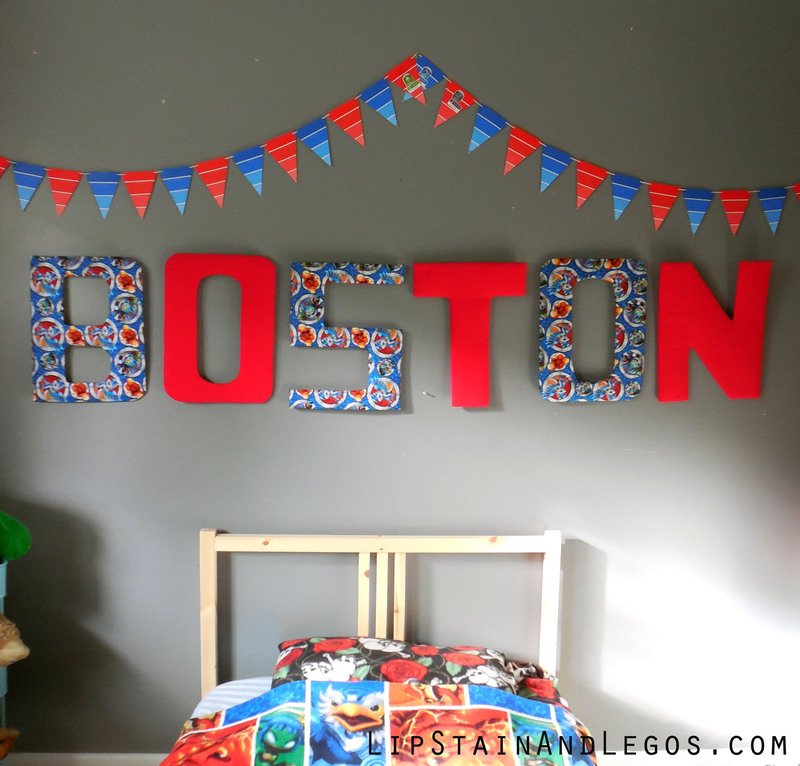 Boston loves how it turned out and is totally happy with his room….. even though he’s already excited to redo it with Star Wars. Agh! More opportunity for creativity right?